Liz and her husband are keen travelers. Portugal is a favorite destination, and their first visit to Porto was a great success. One of the great advantages of a stay in Porto, especially during the warmer months, is that it offers the opportunity to take time out from city sightseeing to explore the nearby Atlantic coastline. Our Holiday Inn Express Exponor location in Leca da Palmeira, to the northwest of Porto, left us within walking distance of two good stretches of coastline. 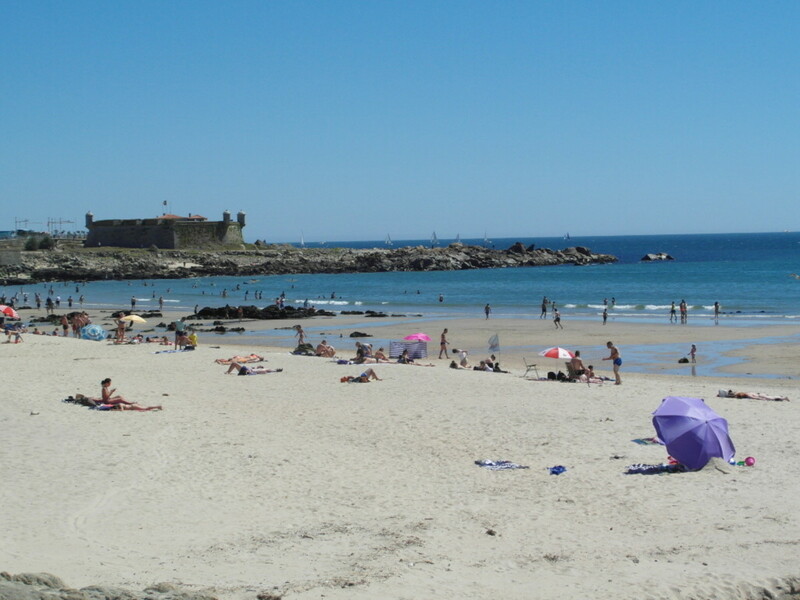 Praia de Leca da Palmeira is to the north and Praia da Matosinhos heads south to Foz and the mouth of the River Douro. During our stay near Porto, we had time to explore both. We walked to the west, towards the sea, along Avenida Antunes Guimares. 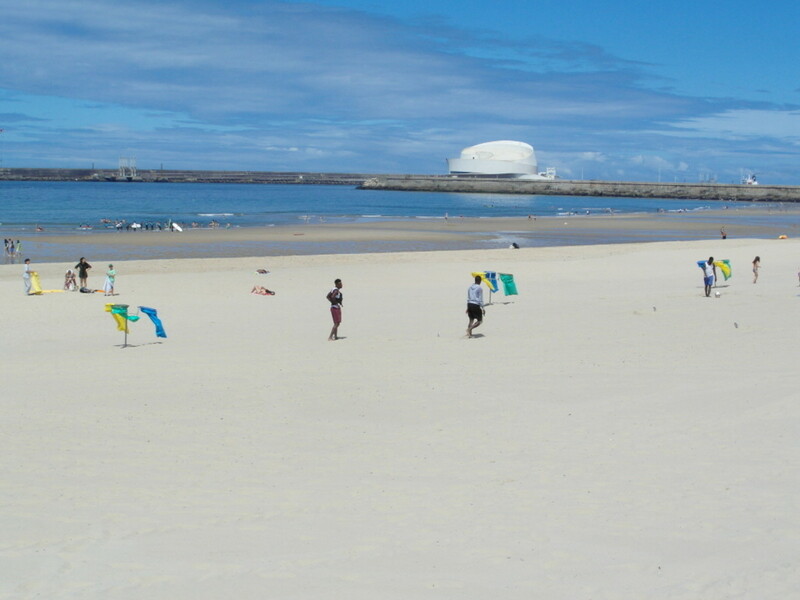 After passing the port of Leixoes and rounding the corner to the north, past the marina, we came upon Praia de Leca da Palmeira. This sandy stretch of beach is bordered to the south by the harbor wall and has a conveniently located beach bar. This is the widest stretch of sand, but it is often windy here and the sea can be rough. This is probably one of the reasons for the construction of the Piscina das Mares, the open-air saltwater swimming pool 850 meters further north along the coast. Another reason is the tendency of the sand to give way to a rockier coastline heading north. As we walked north, the path followed the coastline and we were soon joined by Avenida Liberdade with two separate carriageways. Although this was a wide road, it was never especially busy, bordered on the one side by the coastal path and, on the other by a row of eating places and shops. 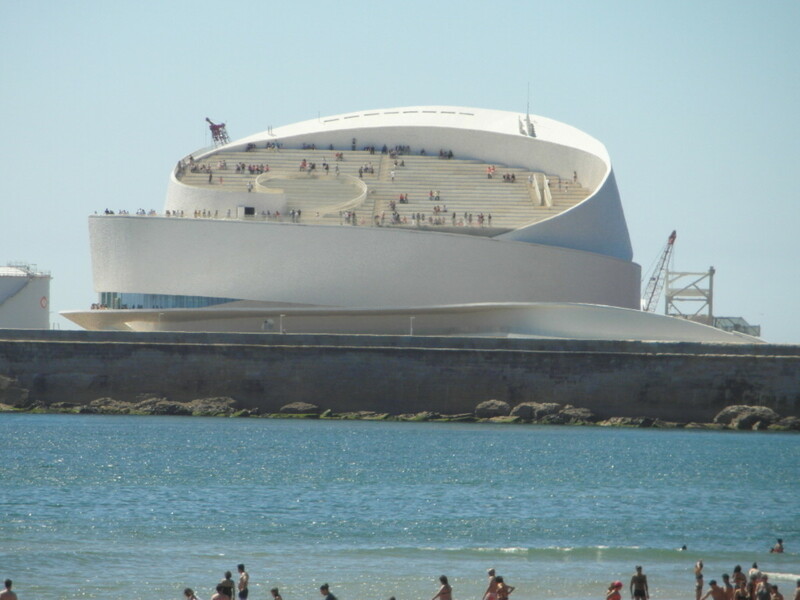 The most striking point of interest on this stretch of coastline is the Piscina das Mares (swimming pool of the seas), which was completed in 1966 and designed by Álvaro Siza Vieira, a Portuguese architect. Since 2006, this has been classified as a national monument. The complex consists of two pools, one shallow and unusually shaped and another deeper one of a more traditional rectangular shape. 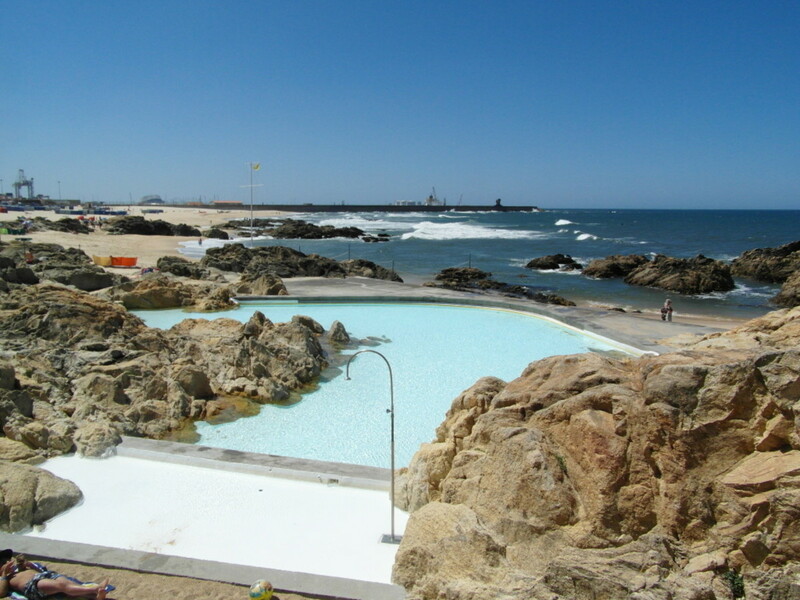 Access to several architectural sites, such as these pools and the cruise terminal in Matosinhos, was free the first week of July and we joined a tour. Ours was in Portuguese, so we didn’t learn a lot, but it was worth it for a free look inside. Changing facilities are functional but basic. If you are looking for a similar standard to your leisure club at home, you won’t find it here. We considered paying to stay for a swim, but decided against it, as it was a blustery day, the water was on the cool side and by the time we got there more than half the morning session had passed. There is a small amount of beach within the complex and sunbeds are available for hire. There is very limited shade. Tip: Look out for information and posters in tourist information offices about days of free admission to local sites. Tickets are sold by the day (09:00-19:00) or the half day (09:00-14:00 and 14:00-19:00). Prices vary depending on when you go. In 2017 weekdays and non-holiday days, adult admission was 6 euros per day or 4 euros per half day. 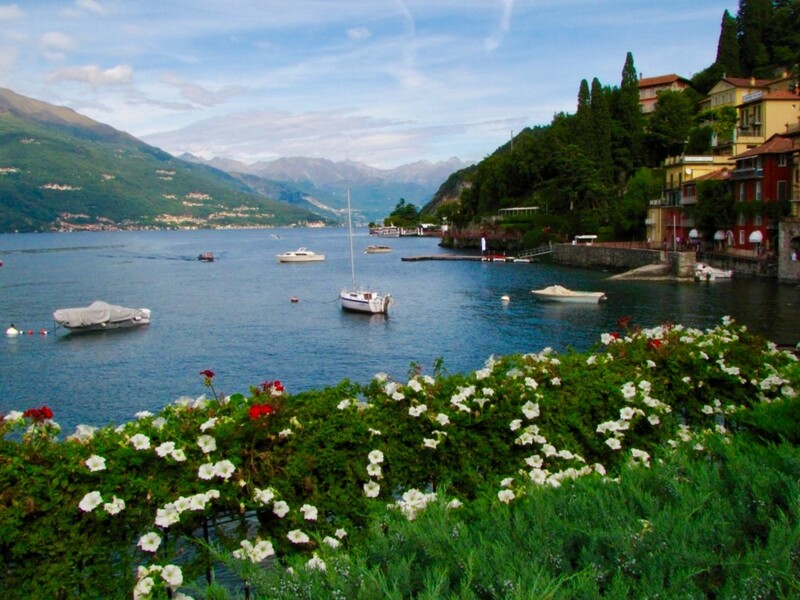 Weekends and holidays admission for adults was 8 euros per day and 5 euros per half day. Under 12s were a little cheaper. For the regular swimmers, books of 10 tickets could be bought, saving around 10%. If you just wanted to take an unguided look around without swimming, the normal charge was 2 euros per person. We appreciated the pleasant break from city sightseeing afforded by our walk north along the rocky coastline. Avenida Liberdade is well set back from the coastal walkway and not very busy. There are well maintained grassy areas, which further separate the coastal path from the road. The inland side of the road is built up with modern apartment blocks, a few restaurants, and shops. The apartment blocks served a useful purpose in shielding us from the sight of the nearby oil refinery, which came into view as we came out of the built-up area and reached the lighthouse, a kilometer further north from the swimming pool. Set back slightly from the coast, the lighthouse is 46m (150ft) high and dates back to 1926 when it was built to protect ships from overrunning the entrance to the port and ending up on the rocks. 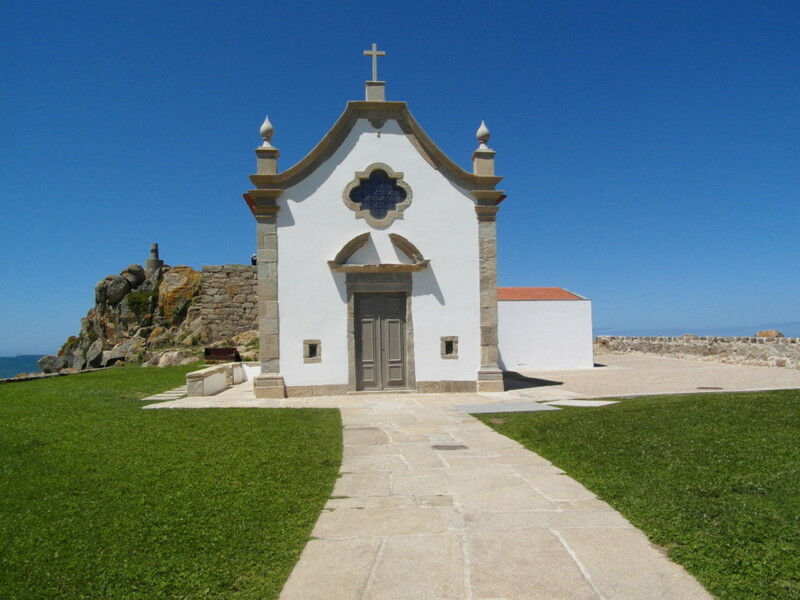 Capela da Boa Nova, which translates as 'the chapel of the good news' is located 300 meters beyond the lighthouse on a rocky outcrop between Praia da Boa Nova to the south and Praia Azul to the north. The chapel dates from 1392 and is formally called Capela de S. Clemente das Penhas, which translates as Saint Clemente of the Rocks. Once we reached the Capela da Boa Nova we decided to retrace our steps, choosing the shade offered by the built-up side of the road. My disappointment at leaving the more scenic views on the seaward side was short-lived, as we stumbled upon a supermarket, where we found bottles of Vinho Verde (Portuguese green or young wine) at a vastly reduced price of just 49 cents. Needless to say, we cleared the shelf of the remaining 5 bottles! Bargain! Vinho Verde is a Portugues specialty. It’s a refreshing, lightly sparkling wine made from young grapes, with a slightly lower alcohol content than more mature table wines. For a totally different beach experience, we walked again west along Avenida Antunes Guimares, but this time took a left along Rua Congosta do Abade over the Ponte movel (moving bridge), which took us south of the port of Leixoes. After passing the Mercado Municipal de Matosinhos (Matosinhos municipal market) we took a right down Rua Conde Sao Salvador. At the end, we turned left on to Rua Herois de Franca. The port was now to our right. Fish restaurants line the street on the left side. We took the first right down Rua Godinho. This road bends round to the left and becomes Avenida General Norton de Matos and, at last, we had sight of a beach and a useful Posto de Turismo de Matosinhos (local tourist office) to the right. The wide stretch of sand is well worth the walk and is sheltered by the harbor wall and Terminal de Cruzeiros do Porto de Leixoes. The cruise terminal was designed by Luis Pedro Silva and was opened in July 2015. Like the open-air swimming pools on Praia da Leca da Palmeira, the terminal was open for free viewing the first weekend in July 2017 and I now regret not being prepared, at the time to take the extra walk out there, as it looks like a stunning location. 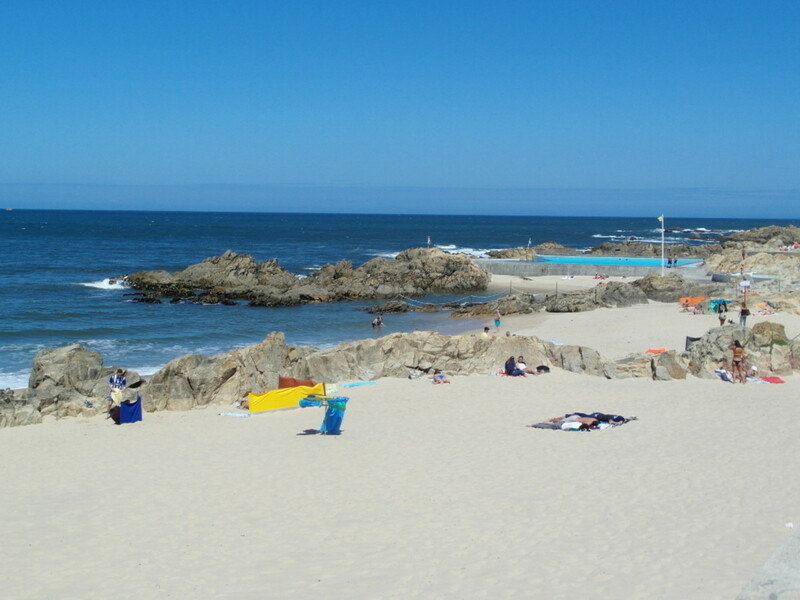 Ideal for families, Praia da Matosinhos is a popular destination for locals and tourists alike in the warmer months. The broad promenade is overlooked by a selection of modern apartment blocks set behind landscaped greenery and the occasional eating place. The wide stretch of sandy beach gently shelves into the sea, offering safe bathing, overseen by lifeguards at busier times. 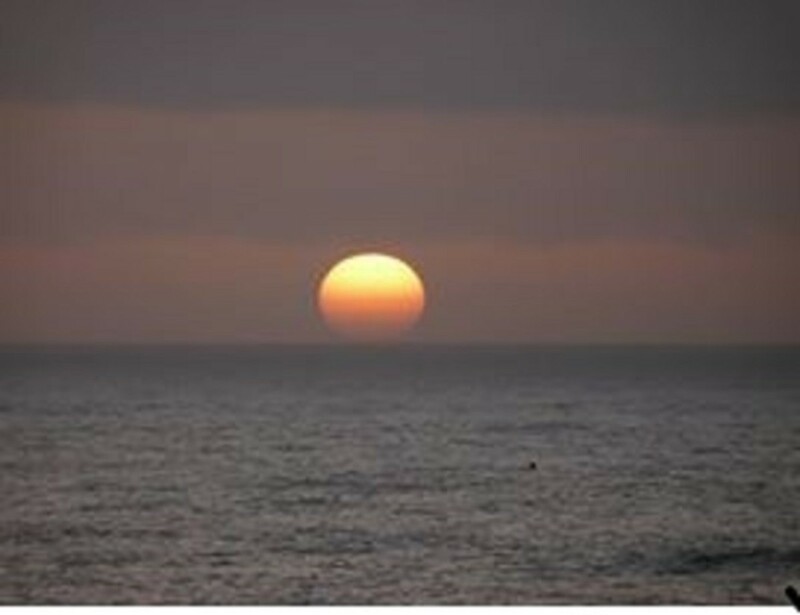 The coastline is tidal and, even in the warmer months, Atlantic sea temperatures can be on the cool side. Surf schools operate from the beach. The sand gradually gives way to the rocks around Forte de São Francisco Xavier (Fort of San Francisco Xavier ) or Castelo do Queijo (Castle of Cheese), which marks the end of the beach area. With the original fortification dating from the mid-1600s, this castle gained its name from the cheese shape of the rock formation. We opted to walk further rather than explore inside the castle, but others recommend a look for only 50 cents admission. Crossing the road and heading inland we took a look at Parque da Cidade do Porto, 1.2 kilometers from the tourist office by Praia da Matosinhos. The City Park didn’t quite live up to our expectations, although it is Portugal’s largest urban park. 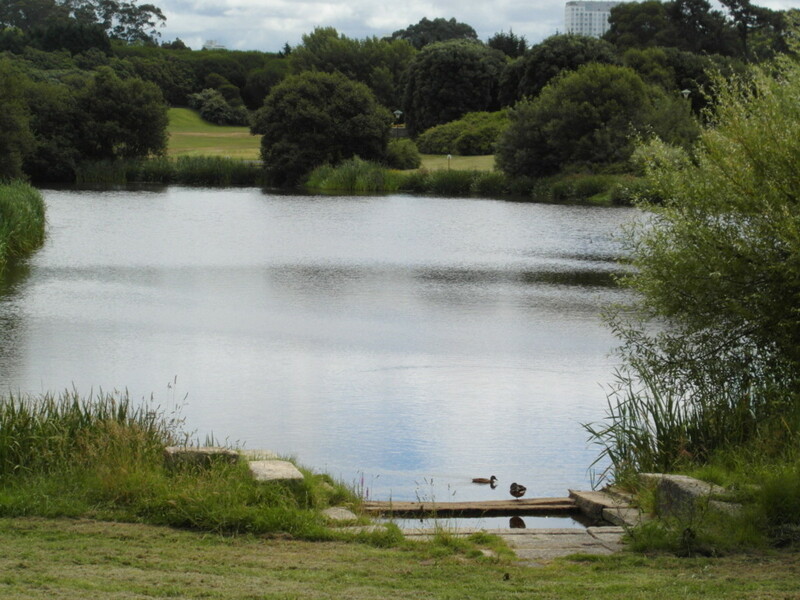 The greenery and lakes were pleasant enough, but it had a slightly run down feel about it, which was not helped by the dismantling of a stage from an event the previous day. For a city park, it was surprisingly empty of visitors and we had a job finding our way in and out of the place. Admittedly it was a weekday in late June and maybe the inland end is more stunning. There is a Sealife Centre sandwiched between the City Park and the roundabout behind Castelo de Quiejo, which links with Avenida da Boa Vista, heading into Porto. We didn't visit on this occasion, but from experience elsewhere, Sea Life centers are usually popular with younger visitors. 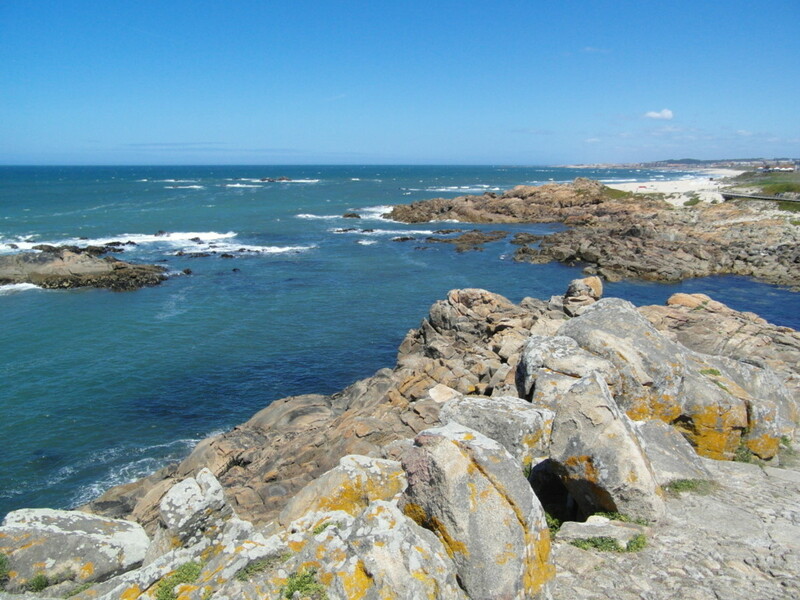 If by this stage you are tired of walking, an alternative would be to pick up the Bus 500 from a roundabout behind Praia da Matosinhos or near Castelo do Quiejo, as this runs south along the coast of Foz do Douro and then follows the northern bank of the River Douro into central Porto. If not, walk on, as we did, into the area known as Foz do Douro. 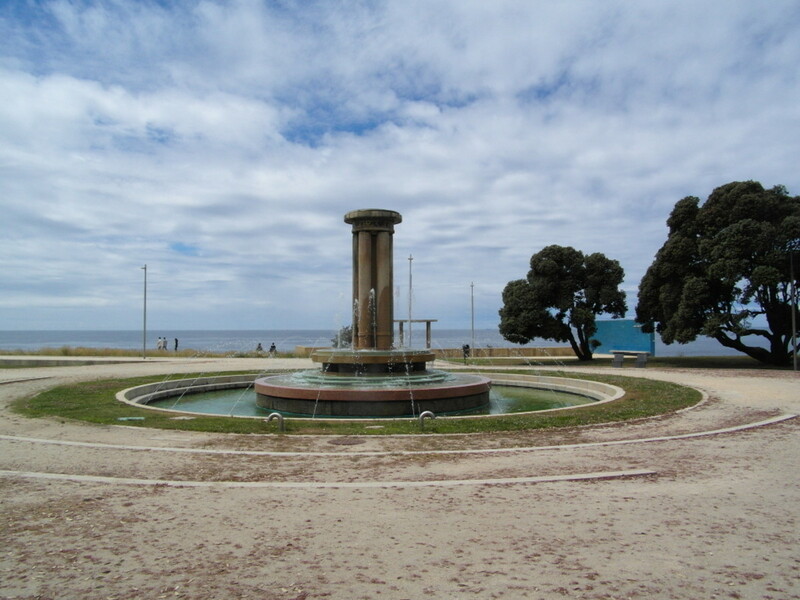 The coastline is rockier as you walk in a southerly direction from Castelo do Quiejo through Jardins da Avenida de Montevideu, a pleasant area of trees and grass with a slightly run-down monument/fountain, along the coastal walkway. This leads eventually to the district of Foz do Douro, literally translated as the mouth of the Douro, as the area takes in the bend of the coast round into the river estuary. 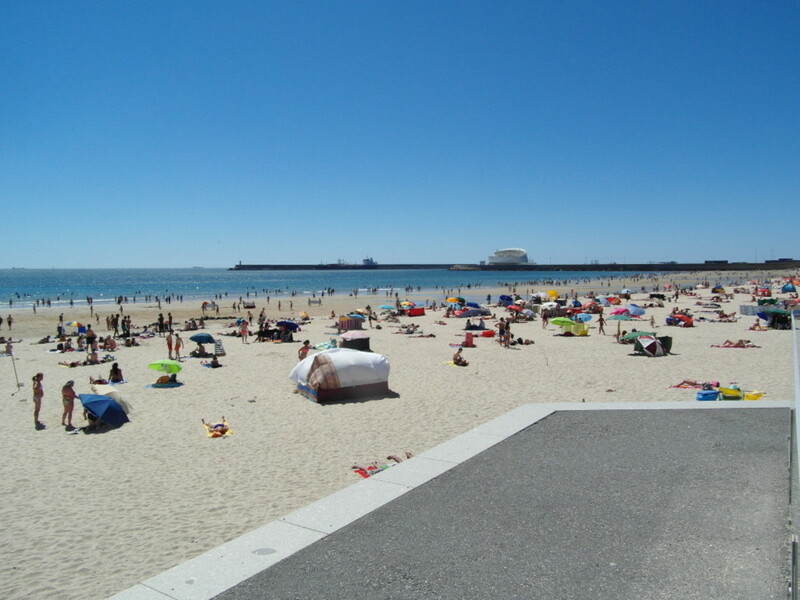 Rocks predominate, so swimming is not as easy as from Praia da Matosinhos to the north, but there are a few bars with views out to sea, as well as a Pizza Hut on this stretch of coastline. 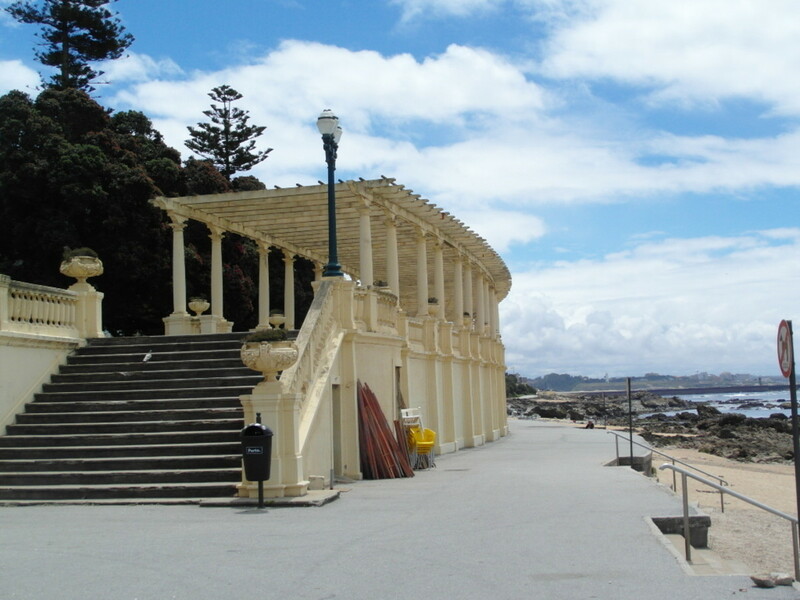 The most striking sight on this stretch is undoubtedly the Pergola da Foz, associated with many a romantic photograph and built in the 1930s near the affluent area of Foz do Douro, which was inhabited by the wealthier classes. The pergola was refurbished in 2008. It is a 1.6-kilometer walk from the coast entrance of the City Park. Rounding the corner from Foz do Douro, you will find a collection of cafes and food sellers backing onto the water and view across the river estuary. Jardim do Passeio Allegre, with its pleasantly landscaped grounds, dating from the end of the 19th Century,is a little further along, around 1.8 kilometers from the pergola. Having walked a fair distance by now, you might want to pick up the vintage tram 1 by the gardens, which will take you along the riverbank into Porto. What's you Favourite Coastal Activity? Thanks for your comment, Audrey. I was interested to hear recently that Porto was being recommended to British families as a good Easter holiday destination, because it is more reasonably priced than the Algarve. So far the area has escaped mass tourism. I was pleasantly surprised at how much the area had to offer. I'm adding this coastline near Porto to my bucket list. The Cruze Terminal is really something! This tour, along with all the information, was a joy to read. The photos made me feel like I was almost there. Thank you very much for your comment, Linda. The coastline near Porto was a bonus. It meant we could mix up the city sightseeing a little with more relaxing coastal walks. 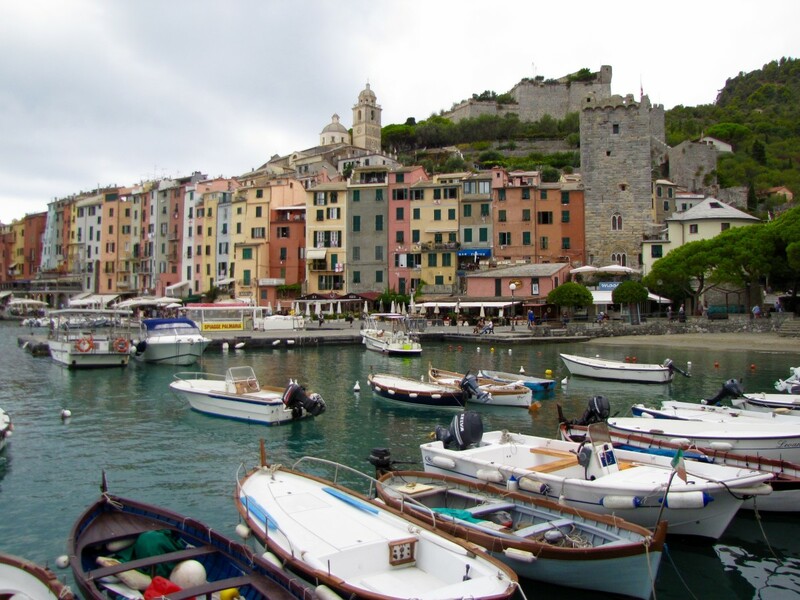 A lot of picturesque European cities are landlocked. So a beach nearby is a great added extra to have. I like Valencia, Barcelona and Malaga in Spain for this reason. 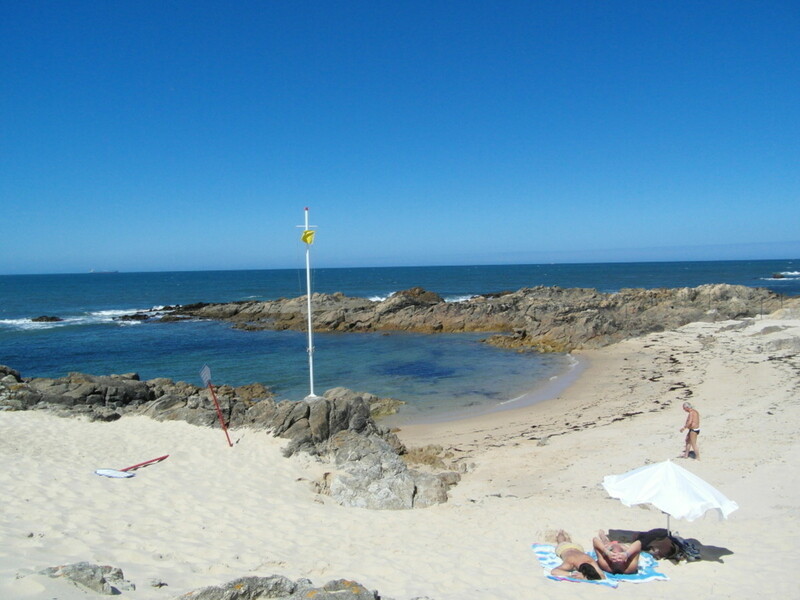 The coastline near Porto sounds like a great place to cool off during the summer months. I love to spend time exploring on foot. You can find unique places that way. Another great travelogue! Thanks for your comment, Debbie. I wish we had taken advantage of the free admission and taken a closer look at the cruise terminal, but it was quite a walk and we were thinking of doing other things at the time. 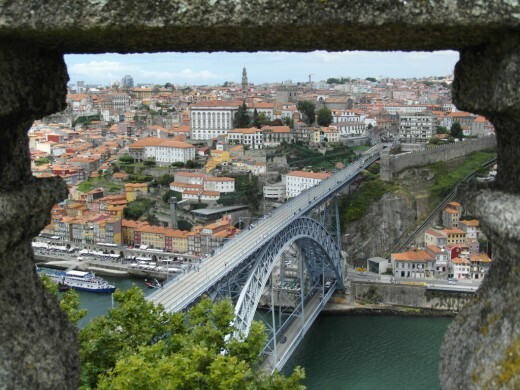 The bridge across the Douro is the iconic sight in Porto. That has to be the most interesting cruise terminal I've ever seen in my life. And that photo of that bridge is such a gorgeous sight. You have lots of informative info here. Thanks for sharing. Thanks for your comment, Mohan. 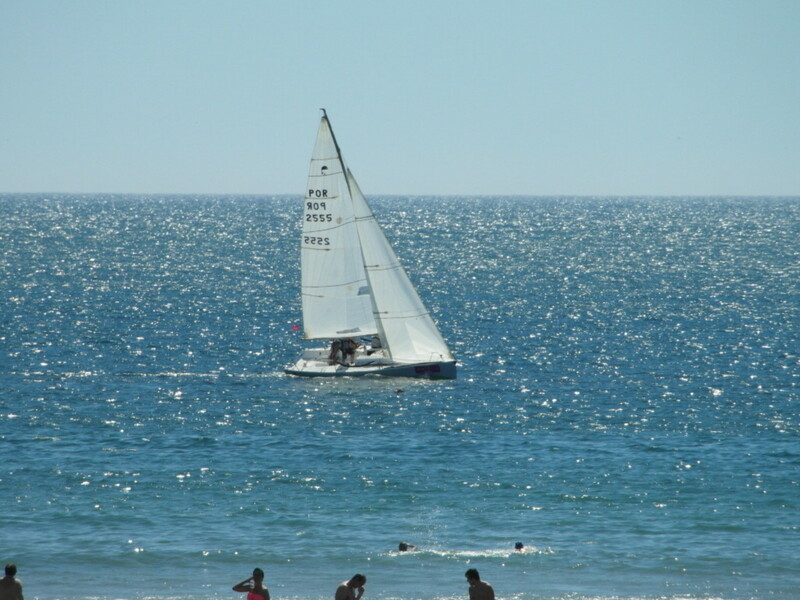 The coastal area was a bonus for us, as we had gone mainly to visit the city of Porto. I hope that others can be helped by our experiences. Another visual treat from you on the Coastal regions near Porto. The swimming pool of the seas looked very good but you took care to warn about the summer heat and lack of shade. Very thorough and informative. Porto is definitely worth a visit. Where are you now? If I ever make it to Portugal, I'll keep Porto in mind, Not too far from where I am right now ... maybe a days drive. Thanks for your comment, Ethel. We were fortunate to have time to explore while we were staying near Porto. I agree, Robert. I also think that the mark of a good holiday destination is when you come away with a list of things you didn't have time to do. This is much better than going to a place where you struggle to find enough to do. Thank you for your comment, Ethel. The coastline was a bonus for us on our Porto trip. 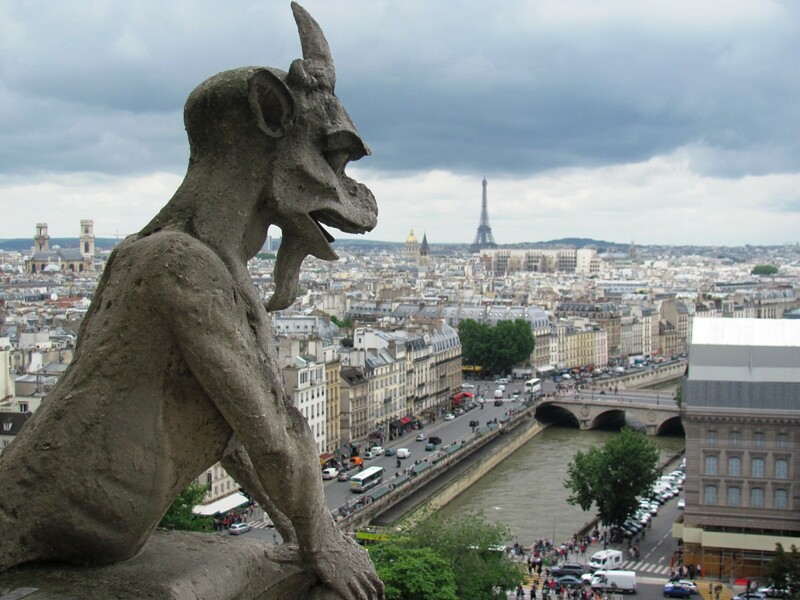 Most visitors head for the city and miss out on it. It seems it's best to visit a place at least twice. The first time to get a feel for the place and the second time to explore the places you found about when you were there but didn't have the time to visit. When we originally thought of visiting Porto, I knew of the link with the port industry and the river scene with the bridge. 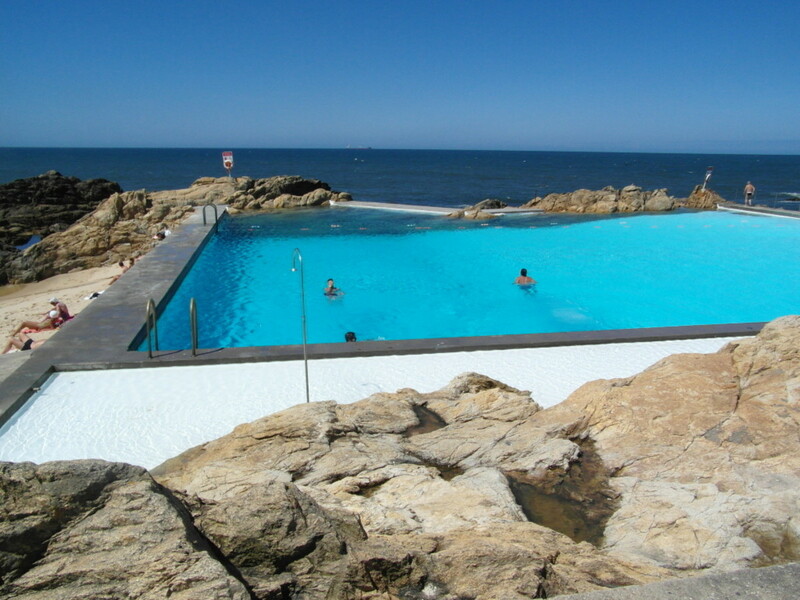 I was aware of a nearby coastline, but I only heard of the pools when I read the guides to Porto. The cruise terminal was a surprise that I wish I had explored further. The Swimming Pools of the Sea and the Cruise Terminal do seem especially interesting. Did you know these places were their before you visited Porto? Thank you for your kind comment, Dora. We enjoyed our time near Porto. Thank you for this beautiful tour of the Coast near Porto. You have given really good information in both facts and pictures. The "swimming pool of the seas" seems very interesting. Thank you for your comment, Thelma. I hope you make it to the Porto area one day. What a wonderful place to go. Thanks for a lot of information. I hope I can go there one day. Thanks for your comment, Natalie. The first picture was taken from the top of a monastery (Mosteiro da Serra de Pilar) overlooking Porto. These look like amazing spots to go. Thanks for such an interesting read - plus the beautiful pictures. Where was the first one taken? It's such an fascinating shot. It looks like it was taken up on a mountain somewhere looking through a break in the rocks. Thanks for your comment, RTalloni. Porto offers great variety to visitors. Thanks, Bill. I'll certainly look into that. Oh how lovely it would be to visit this coastal area. It is a great contrast to the apparently dense Porto. To share your visit via this well done post is a treat. I was thinking pitching to magazines! Thanks for the suggestion, Bill. I appreciate your comment. Do you mean advising them of my articles to encourage more hits, or pitching for some work from them? I've almost exhausted my Porto material and, after a hotel review there, I'll be moving on. I like that you are concentrating your efforts on an area which does not get many articles....it narrows your reading market, of course, but it also means you are one of few writers in that market, and that will pay off eventually. My suggestion: contact the Porto tourism office and make a pitch. Thanks for your encouragement, Peggy. The pools and the cruise terminal were an unexpected bonus on what I expected to be a city sightseeing holiday. Thanks, DJ Hurst. Portugal is well worth a visit. 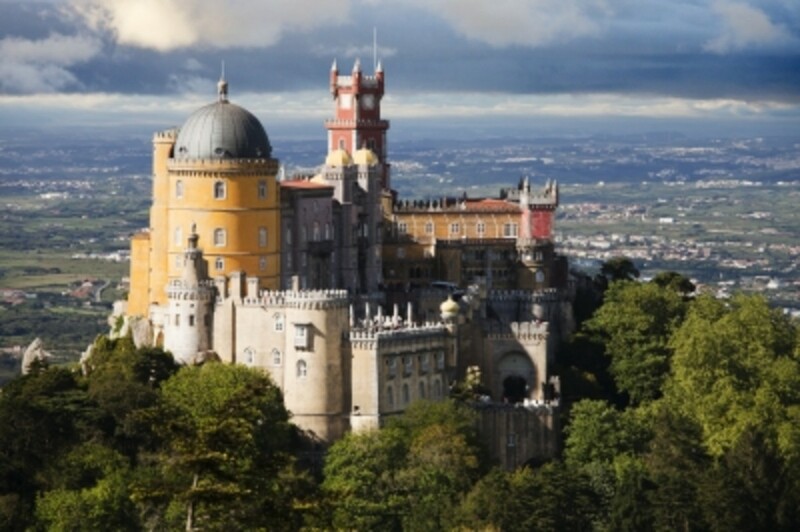 Thanks, FlourishAnyway, Portugal has a lot to offer and in our experience is one of the most reasonably priced European destinations. Thank you for your encouraging comment, Linda. I was concerned that this article might be weaker than the others. Thanks for your comment, Eastward. We didn't choose the area for the coastline, so the coastal walks were a bonus. Thanks for showing us the coastlines around Porto and what there is to do and see if exploring them as you did. 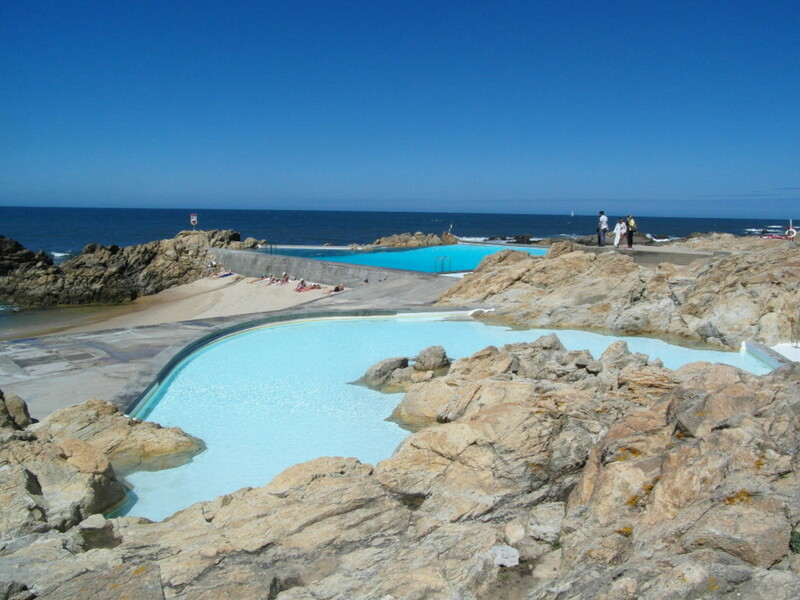 Those saltwater pools built adjacent to the ocean reminded me of the one we saw while in Acapulco many years ago. That is a great idea and safer than swimming in the open ocean waters. The photo of the cruise terminal is fascinating. It almost looks like rows of seating at the top. I enjoyed all of your photos and the descriptions. Looking forward to reading more of your articles! Nice. Never actually been to Portugal. It's on my list though. If you had presented nothing else about Porto in any other article, the pools and beach would still have me hooked. Absolutely marvelous. I must go! I've enjoyed reading all of your Porto articles very much, but this is my favourite one. I love the views of the sea and beaches. I like the first photo in this article, too. The natural frame surrounding the view is lovely. 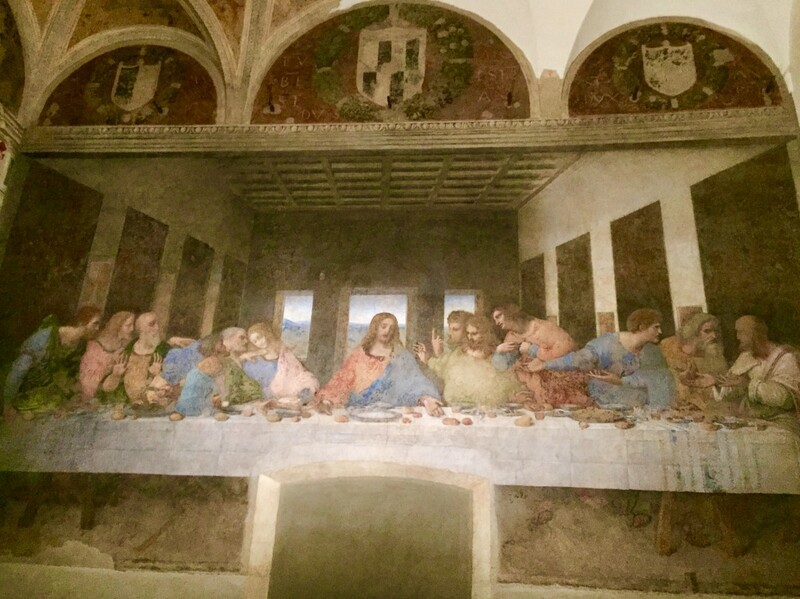 Thank you for sharing your travel experiences, Liz. That's a nice, detailed account of your trip. It looks like a beautiful and interesting place! Thanks for your comment, Mary. I would imagine that Porto is a little cool in the winter for beach activities, as it's on the north-west coast of Portugal. But an advantage of traveling then is that there are fewer crowds. We tend to head a little further south in the winter, as the weather in the UK is cold and wet and we crave a little winter sun. These beaches look amazing. We enjoyed our time in Porto but we always travel in the winter as summer in Canada is great. 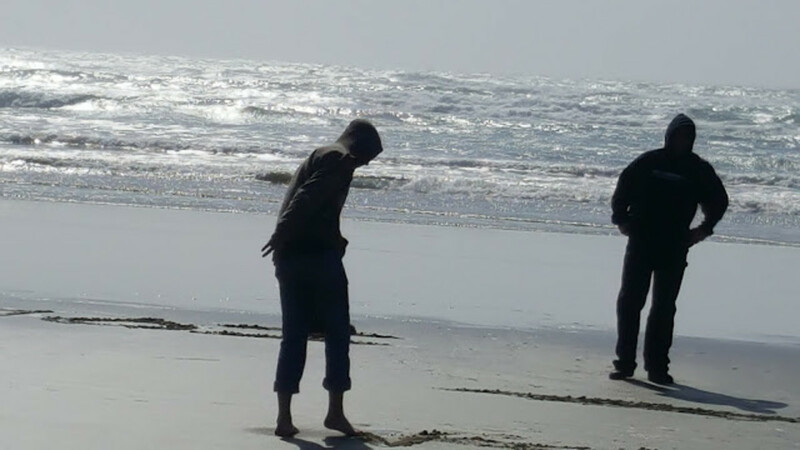 We did walk in the beach in Nova da Gaia but did not really enjoy other beach activities. Thanks for your comment, Louise. Porto exceeded our expectations. Porto looks a lovely place to visit. There's lots to do and see. I'd definitely do a lot of walking and exploring!